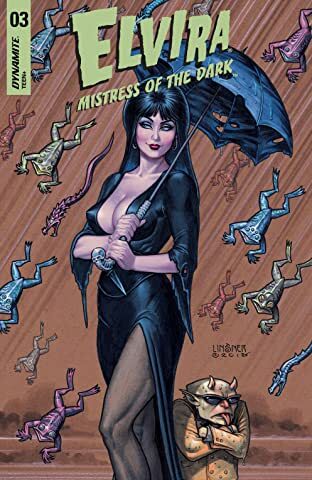 "The Mistress of the Dark has become unstuck in time! 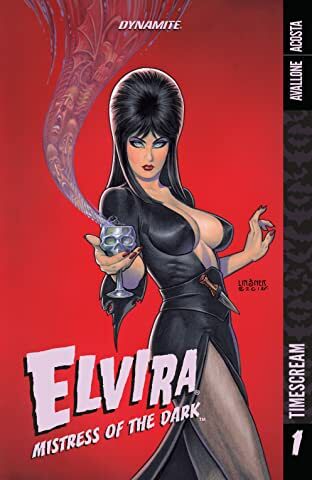 Elvira crashes Mary Shelley's monster weekend, beginning an epic journey through horror history, stalked by the most terrifying nightmare to ever walk the Earth. (No spoilers!) 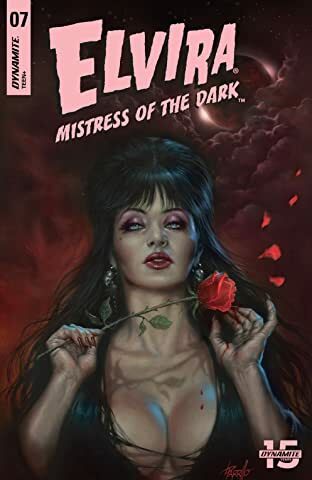 Writer David Avallone (Bettie Page, Doc Savage, Twilight Zone) and Dave Acosta (Doc Savage) bring you the thrills, chills and double-entendres in the first chapter of this four-issue miniseries! 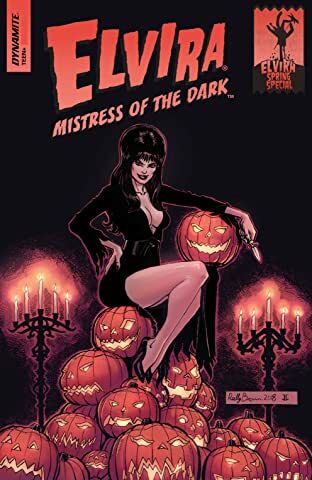 Played by actress-writer Cassandra Peterson, Elvira, Mistress of the Dark has carved out a niche in popular American culture that is sure to endure for decades to come. 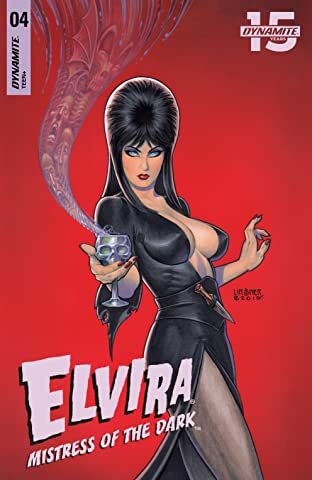 Elvira's reign as 'Queen of Halloween' has now spanned thirty-five years and includes two nationally syndicated television series, two feature films (Elvira, Mistress of the Dark and Elvira's Haunted Hills), an IMAX movie and two motion control rides. 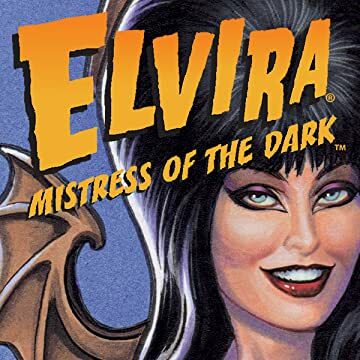 She has appeared in National ad campaigns for Pepsi and Coors, recorded five music CDs, written four books and licensed over Four Hundred products including pinball machines, action figures, guitars, three comic book series, a beer, wine, soda pop, perfume, slot machines and the best-selling female costume of all time."